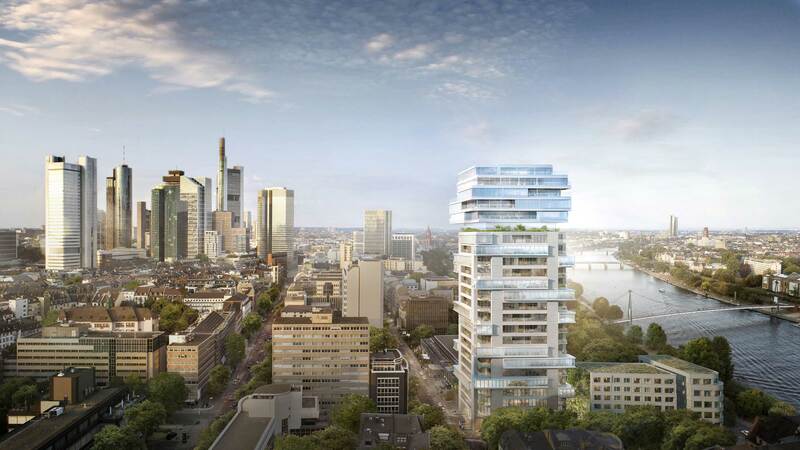 RIVERPARK Tower is a spectacular residential high-rise for Frankfurt commissioned by GEG German Estate Group AG. 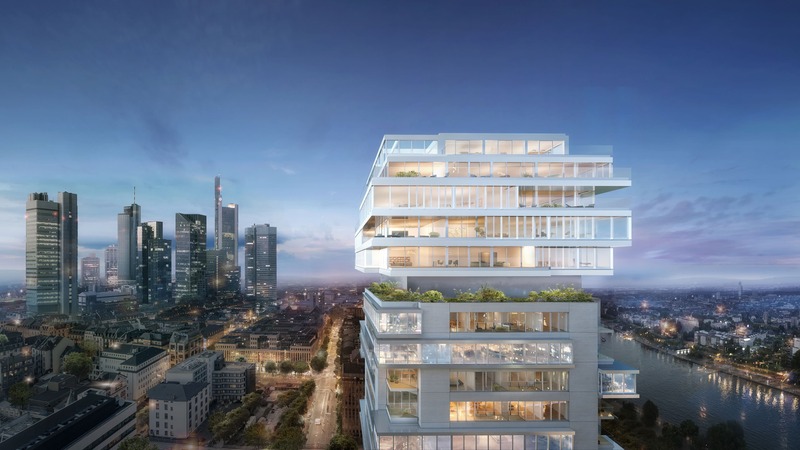 The transparency and openness of the dynamically layered, sculptural architecture will stand in stark contrast to the mute office towers of this German city. 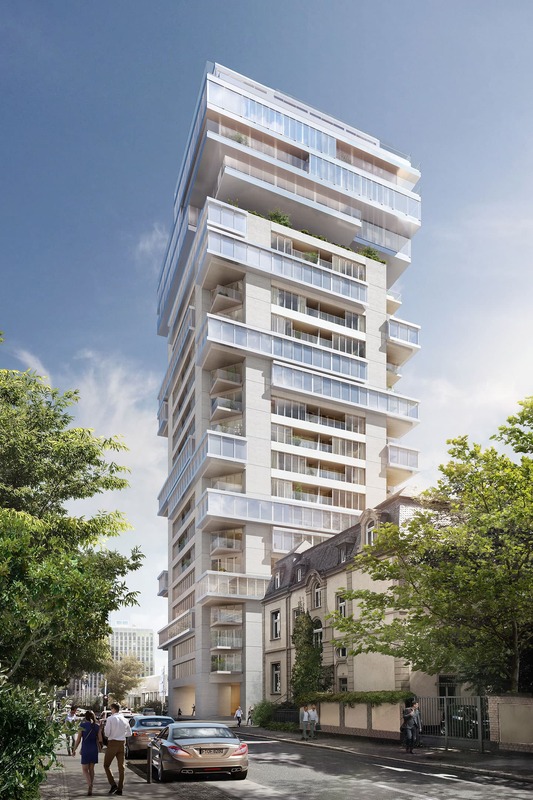 Prominently located on the banks of the River Main, with a height of almost 100 meters, the tower will offer sweeping views of the city’s striking skyline and its riverbank, creating an entirely new quality of life in the heart of the city. 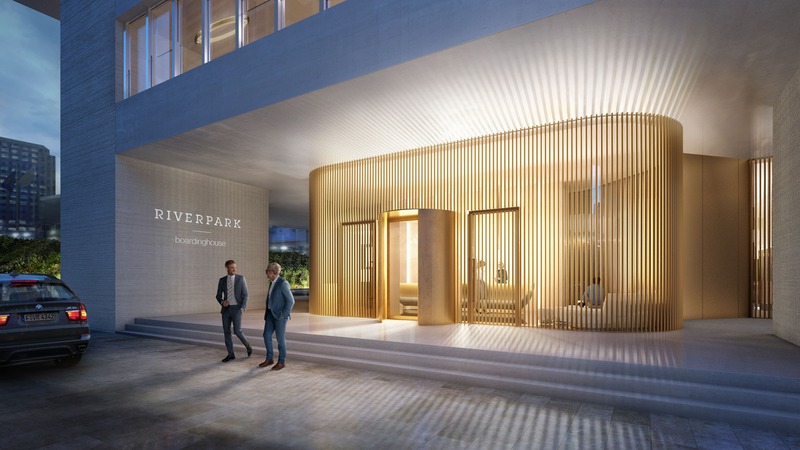 RIVERPARK Tower will emerge through the conversion of an existing concrete office building. 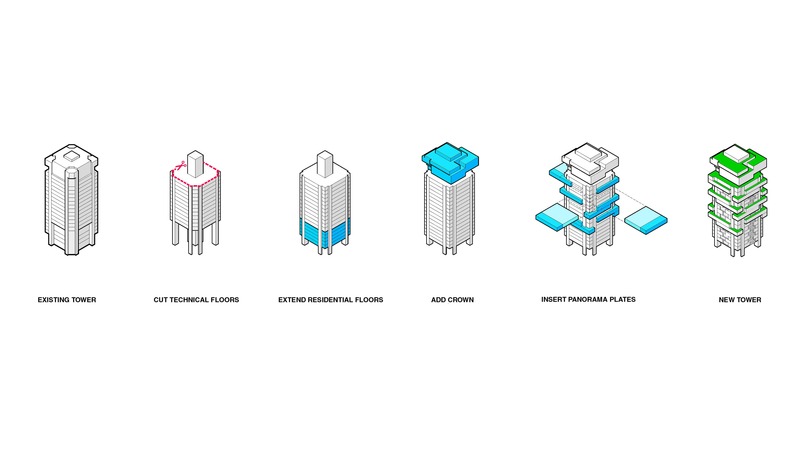 Large, horizontal panoramic floors will be inserted into the free-spanning concrete structure of the vertical tower. 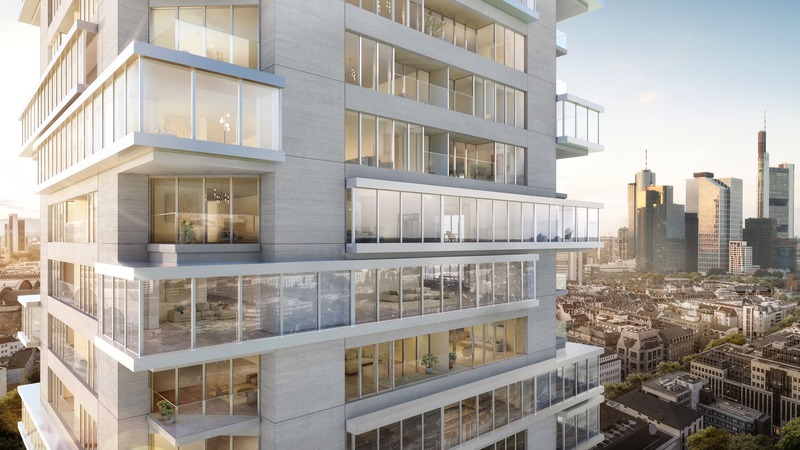 The building’s 220 units on 23 floors will offer high standards of modern living, ranging from small business apartments to 4-room suites. 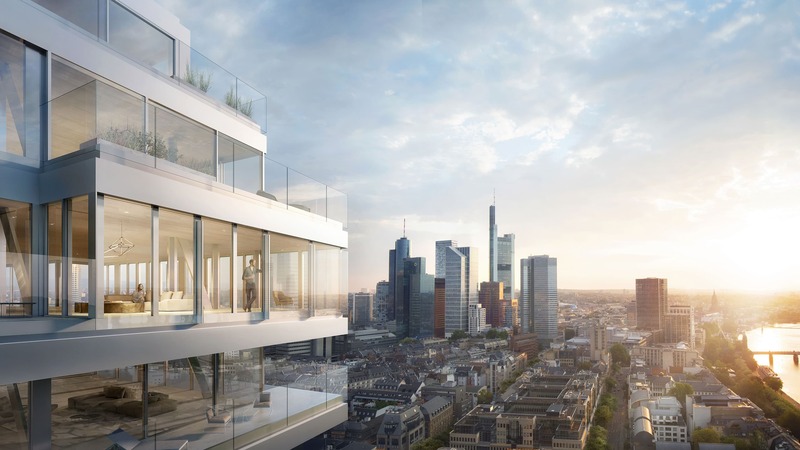 The new loft floors at the top of the building will form an expressive gesture with a distinctive apex in the tradition of the iconic Frankfurt skyline. 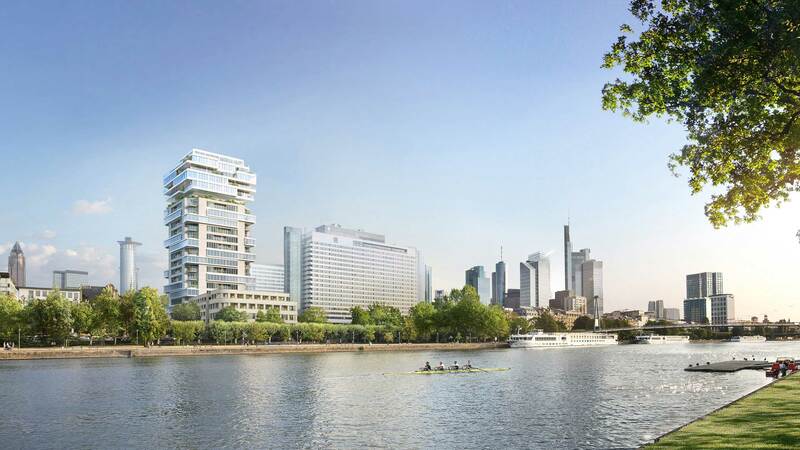 RIVERPARK Tower will be developed in cooperation with GEG, one of Germany’s most prestigious real estate investment platforms, combining high-quality architecture with environmental innovation and sustainability. 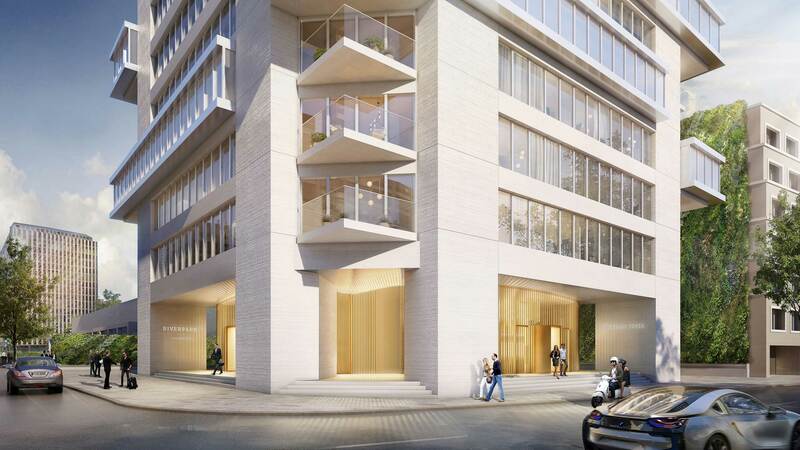 Construction work is scheduled to start during Q4 2019.